‘Aerobic bins were implemented in 40 public places within the city and a walk-through has been initiated to identify those who don’t follow the rules. 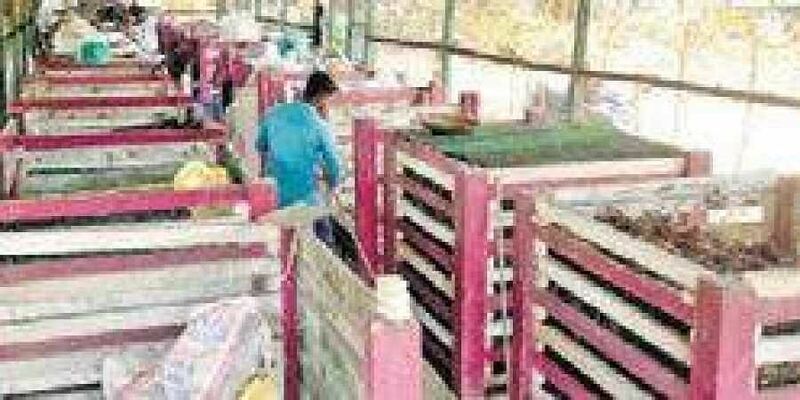 THIRUVANANTHAPURAM: After experimenting with several decentralised waste management models and failing in the process, the City Corporation has come up with a slew of measures to mitigate the issue. The civic body is envisaging bringing together home composting and community models as an ultimate solution to the waste management crisis. ‘Kitchen Bins’ are the new trend which was enforced by the Corporation by providing biodegradable compost bins to households within the city. “Kitchen Bin is a three-layered compost where food waste can be collected and it costs only Rs 200 a month. It takes at least one month to get one layer filled, by that time you can use the second layer and when the third layer gets filled, the first layer will be ready to use after decomposing. So, it’s basically a waste decomposing cycle,” said V K Prasanth, mayor, Corporation. ‘Aerobic bins were implemented in 40 public places within the city and a walk-through has been initiated to identify those who don’t follow the rules. The best advantage of an aerobic bin is that it does not emit a foul ammonia-like smell. “An amount of Rs 500 is collected as penalty fee from people who dispose waste in public places and also we make sure that an additional amount will be charged for the removal of the waste disposed of,” said S S Minu, Health inspector, Corporation. The civic body has around 30 plastic waste collection centres where plastic waste can be disposed of between 5 am to 9 pm. Biogas plants have been propelled by the Corporation and a subsidy has been allotted via agencies in pact with ‘Cleanliness Mission’. “Corporation also intended to incorporate Kudumbasree units as part of the cleanliness drive. We are also looking forward to implementing plastic shedding machines through them. Plastic bottles are also a concern,” said Rakhi Ravikumar, deputy mayor, Corporation.